If you are looking for outdoor deck and patio chairs, look no further than Blue Springs Patio. We offer a wide-range of products that are proudly made in the USA. 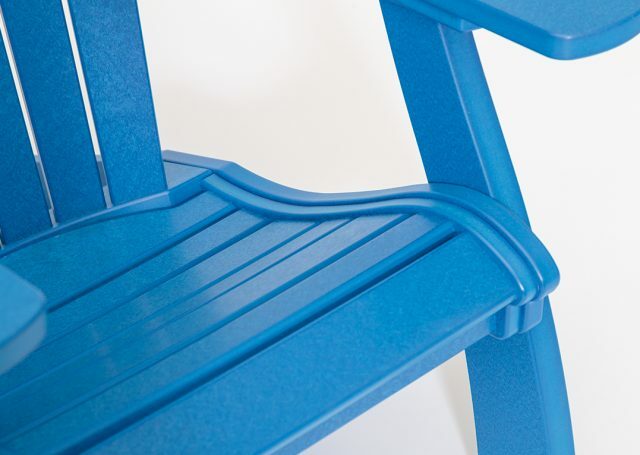 Our custom patio chairs feature polywood, a material that combine the best features of lumber with the durability of plastic. These are patio furniture sets designed to last for years, with minimal maintenance, giving you more time and energy to enjoy your backyard. If you are looking for high-quality, weather-resistant patio furniture sets, you’ve found it. The right lawn chair is one you will use year-round. It is important to find patio chairs that are durable and can stand up to the elements, whether it’s the blazing sun in the heat of summer or the low-temperatures and deep snow in winter. Polywood Adirondack chairs and other outdoor lawn chairs are perfect to withstand those elements. 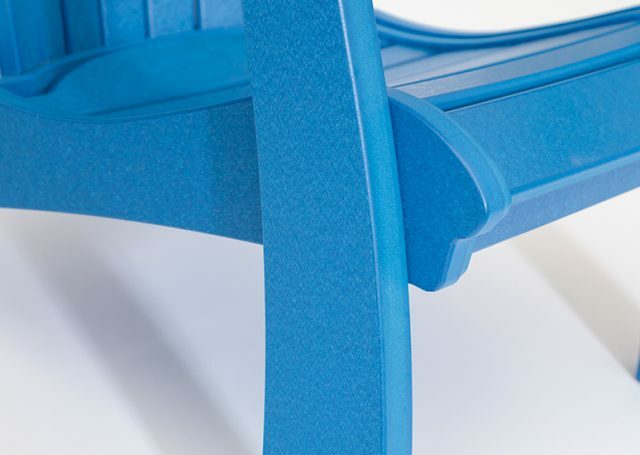 These outdoor benches and chair lounges look and feel like real wood but have the convenience of weather-resistant plastic. They are easy to clean and will stand the test of time. You don’t need to worry about having to replace your chairs every few years. These chairs look and stay beautiful. You will want to evaluate what type of chair fits your outdoor needs. Lawn chairs come in many different sizes and can suit a big or small yard. An outdoor bench may be practical choice for extra seating when you have larger gatherings. If you have an outdoor bar, bar chairs invite guests to stay and enjoy their beverages. An outdoor chaise lounge is the perfect spot to recline. Adirondack chairs are comfortable to sit in and have wide armrests for ultimate relaxation. 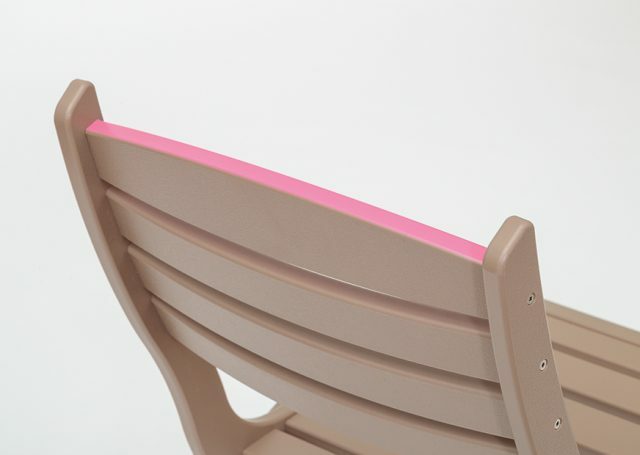 These chairs are available in a variety of color combinations. You might decide to add multiple chairs and tables for more seating and entertaining options. Outdoor chairs encourage family and friends alike to gather and get comfortable. They are available with or without arms. Adirondack chairs without arms are cozy and classic. Polywood Adirondack chairs from Blue Springs Patio have curved legs and seats that are molded for comfort. You will want to stay just a little longer in these outdoor lounge chairs. Outdoor chaise lounges are available with the same curved legs and durable armrests you can expect from our outdoor lounge chairs. Take time to stretch out your legs and enjoy your deck or patio in a comfortable outdoor chaise lounge. Our outdoor patio chairs are also fully customizable. From colors and styles to custom monograms and logos. This is a great idea for family and friends who want “their” seat or a gift for the holidays. 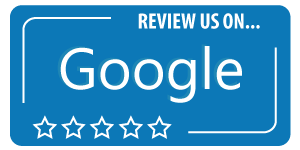 Shop online or contact us today to learn more! Stylish curved legs and comfort-molded seats set our chairs apart from the rest. 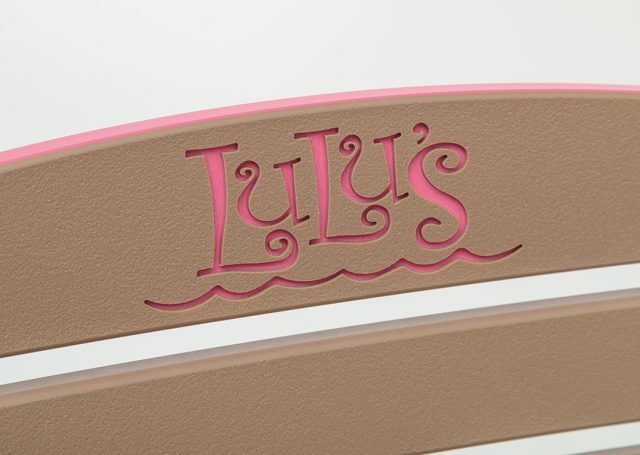 2-color poly lumber gives a ”peek-a-boo” effect when top layer is engraved with your logo or design. Available on some of our poly products. Contact us for details.